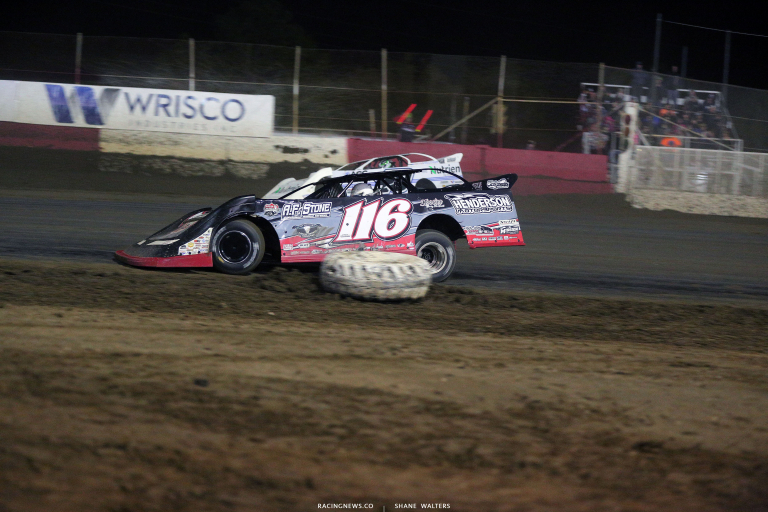 A week long show at East Bay Raceway Park was concluded on Saturday night. 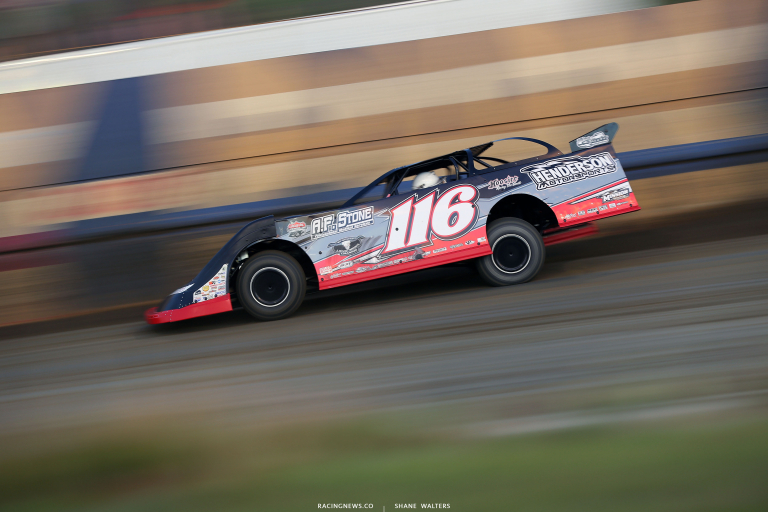 The Lucas Oil Late Model Dirt Series rolled into the 1/3-mile dirt oval in Tampa, Florida for a marathon week of dirt racing. On the final night of the show, Tanner English set quick time in group A qualifying. That put him on the front row for the first heat race of the night. English battled with Jimmy Owens. The #119 machine led early. A slide job from Jimmy Owens put him at the front in turn three. English drove to his inside in turn one and slide him back in the same corner on the lap that followed. He drove off to take the win and placed himself on the front row for the $12,000 to win main event. The green dropped and English led into turn one. He drove away from the field several times over on the bottom lane. Toward the end of the race, English began spinning the tires off turn two. At the same time, Davenport found speed on the cushion. The pair ran side by side for 5+ laps. They split lapped traffic and remained door to door. A caution came out with 3 to go, Davenport was declared the leader at the time. As they went green, English lost ground. He fell to 4th, barely missing a podium. The results don’t show it. But, English dominated that race. To date, he’s yet to win a Lucas Oil Late Model Dirt Series event. But, he’s been at the front with the opportunity to do so, multiple times over. English is in a new ride for 2019. He’s signed on with Randy Weaver Racing. Now, he almost claimed his first LOLMDS win. Off turn two, you’d lose drive a lot of the time. But, I’m not sure why? “Th mud ring that I was running in there and was fast in at the very beginning, it went away. Everybody was running right there in it,” Tanner English told RacingNews.co . You’re saying it slicked off right there? I heard a story that you guys had considered running a tour this year. But, you guys couldn’t get the car ready for Golden Isles. Is that so? Is it a longer term goal with this team? I know, that you of all people deserve to be on a tour. I also know that I’ve already told you that at least 3 times. I know that you have a full-time job. So, I guess doing a tour would take you quitting that? So, if this year goes well then maybe that’s a leap you’ll take?